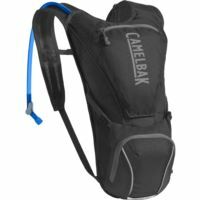 For years, the Camelbak Rim Runner has been a favorite all-around pack for day hikers. The updated design offers a clean, technical aesthetic, 2.5 liters of hydration, and a hip belt with cargo pockets that let you grab snacks or keys without removing your pack. It's designed to carry enough gear for most day hikes (layers, lunch, water and essentials) without the bulk of extra features that you won't need. 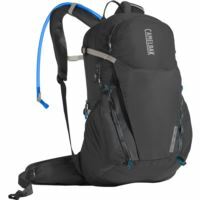 The Camelbak Cloud Walker is a simple, classic daypack perfect for hikes and less technical adventures. When you're staying close to home, just remove the reservoir for extra storage capacity. Hitting the trail? Throw it back in for 2+ hours of hydration. There's a reason this is one of our bestselling, longest-running packs: it's got everything you need, and nothing you don't. 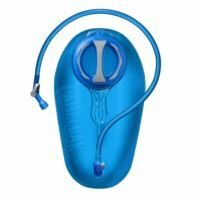 The Camelbak M.U.L.E. has a narrow-gauge design that keeps it light and maneuverable-so even when it's fully loaded for a day of mountain biking, it won't get in your way. 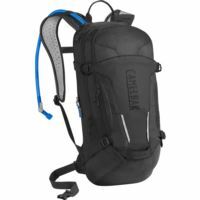 The Camelbak Lobo is ideal for days when the weather is clear and the trail is calling-days when you want to ditch most of your gear to travel fast and light. 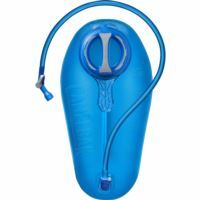 With 3 liters of hydration capacity, it carries enough water for a substantial 3+ hour ride, and the external fill means you can top off the reservoir without unpacking anything. The all new Camelbak Rogue features the convenience of external fill in a sleek bike pack. The 2.5L Crux reservoir can be refilled on the fly via the quick-release flap on the front of the pack. Two external pockets for small items like keys, wallet, phone or storage for a shed layer. The all-new Camelbak Crux 3L Reservoir means more water per sip, with a foolproof design that made it easy to fill up and hit the trail. The brand new Crux delivers 20% more water per sip, with an ergonomic handle for easier refilling, and an on/off lever that makes it easy to prevent leaks. 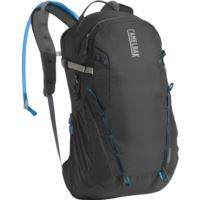 Like all of Camelbak gear, the Crux has been put through exhaustive stress tests to make sure that it won't fail you on the trail. 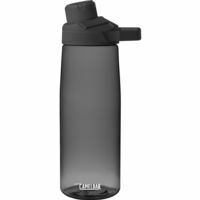 The all-new Camelbak Crux 2L Reservoir means more water per sip, with a foolproof design that made it easy to fill up and hit the trail. The brand new Crux delivers 20% more water per sip, with an ergonomic handle for easier refilling, and an on/off lever that makes it easy to prevent leaks. 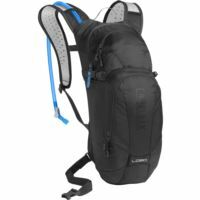 Like all of Camelbak gear, the Crux has been put through exhaustive stress tests to make sure that it won't fail you on the trail. 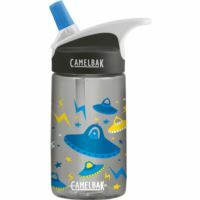 The CamelBak Kids' Eddy .4L water bottle features a spill-resistant design and fun graphics to keep you and your kids happy. Recommended for ages 3 - 8. 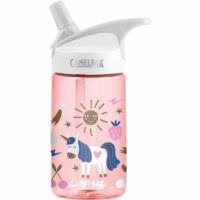 The CamelBak Kids' Eddy water bottle features a spill-resistant design and holiday graphics to keep you and your kids happy. Recommended for ages 3 - 8. The sleekest design yet combines leak-proof performance in fresh and expressive colors for a true reflection of you. 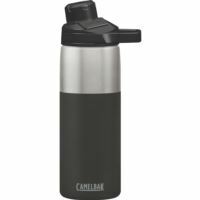 The Camelbak Brook Vacuum keeps cold and hot beverages alike at the perfect temperature and boasts sweat-proof insulation. It's designed for those who demand stylish functionality and choose to fuel every day with passion. 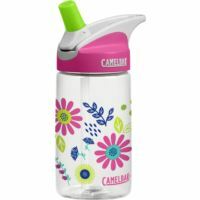 The versatile and well-loved Camelbak Chute bottle has been improved to feature a redesigned magnetic top that easily stows the cap. 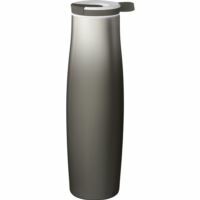 Drink freely from the Chute Mag thanks to an angled spout that provides a high flow of water without sloshing or spilling. The durable and leak-proof 25 oz. size is great for sipping during a workout or at work. Hydration made simple, Chute Mag 1L delivers high flow without the mess. 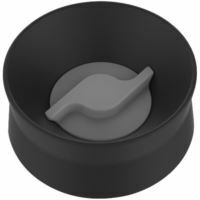 The universal cap features a magnetic top that stows securely out of the way when open, is leak-proof when closed, has an easy carry handle, and is compatible with Eddy+ and Hot Cap vessels. 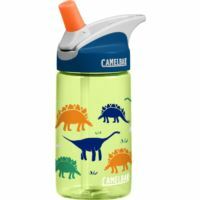 Your beverage stays perfectly hot or cold no matter where your day takes you with the Camelbak 20 oz. Chute Mag Vacuum. A new magnetic top keeps the cap out of the way while you drink. This vacuum-insulated bottle keeps liquids cold for 24 hours (even longer if you add ice), and hot for six, because nobody likes a lukewarm drink. The sturdy, double-walled steel design keeps condensation from collecting on the sides of the bottle, and the powder-coat paint job adds some extra color. Add a Camelbak Hot Cap to your existing Chute Mag Stainless for an instant upgrade! 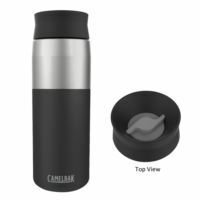 The leak-proof cap allows 360° drinking from any side and is easy to twist apart and clean. Accessory fits any size of Chute Mag Stainless and can accommodate contents up to 195°F, 90°C. This cap is compatible with Chute Mag bottles only. 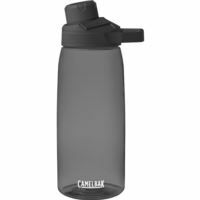 Give lukewarm the cold-shoulder with the new Camelbak Hot Cap bottle. A leak-proof 360° cap allows drinking from any side so you can sip subconsciously. Sweat-proof, vacuum insulation keeps the outside of the bottle dry and your beverage hot for up to 6 hours or cold for up to 24 hours. 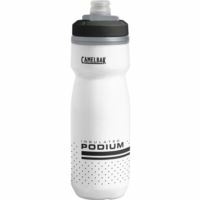 With double-walled construction to keep water cold twice as long as other bottles, the insulated CamelBak Podium Chill 24 oz. is the best-of-the-best for delivering cold, consistent cycling hydration. 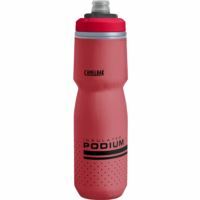 Features like optimized cage fit and improved cleanability continue to make this bottle a favorite among professionals and recreational users alike. 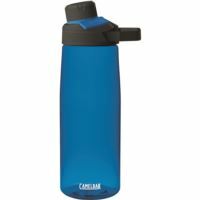 With double-walled construction to keep water cold twice as long as other bottles, the insulated CamelBak Podium Chill 21 oz. is the best-of-the-best for delivering cold, consistent cycling hydration. 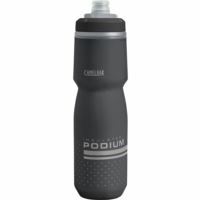 Features like optimized cage fit and improved cleanability continue to make this bottle a favorite among professionals and recreational users alike. 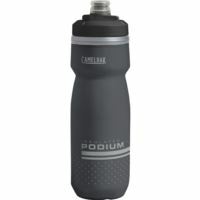 CamelBak Podium 21 oz. 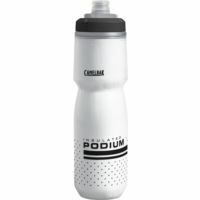 revolutionized the sport bottle by offering an innovative design that simplifies high performance hydration.